On my early morning drive I noticed this thought provoking artwork on the walls of Abby Court in New Kingston. 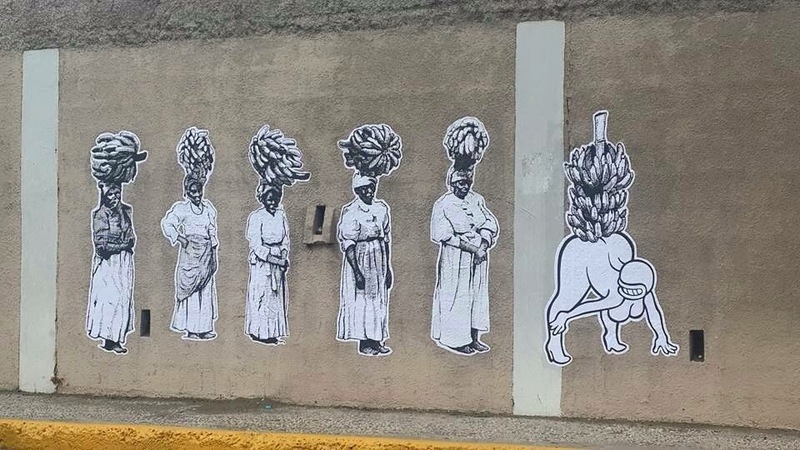 The street art is done by Jamaican artist Leasho Johnson who is an Edna Manley graduate, who has has exhibitions at the National Gallery of Jamaica. Leasho’s street art can also be found around in the Liguanea area of Kingston as well. So if your in the New Kingston area please take a look out and hit us with your comments on your interpretation of this piece.